A Hidden-Picture Quest Through Outrageously Awesome Worlds! Each scene in Welcome to the Colorverse is a tad bit...off. Kites fly themselves, animals take on human form, and ice cream cones grow from the ground. You'll journey from the desert to the sky, a safari to the candy shop, and the forest to an aquarium, bringing color to the intricately designed landscapes filled with odd characters and strange happenings. Every new setting has its own unique task to complete as you search each wacky scene, creating awesome art in the process. 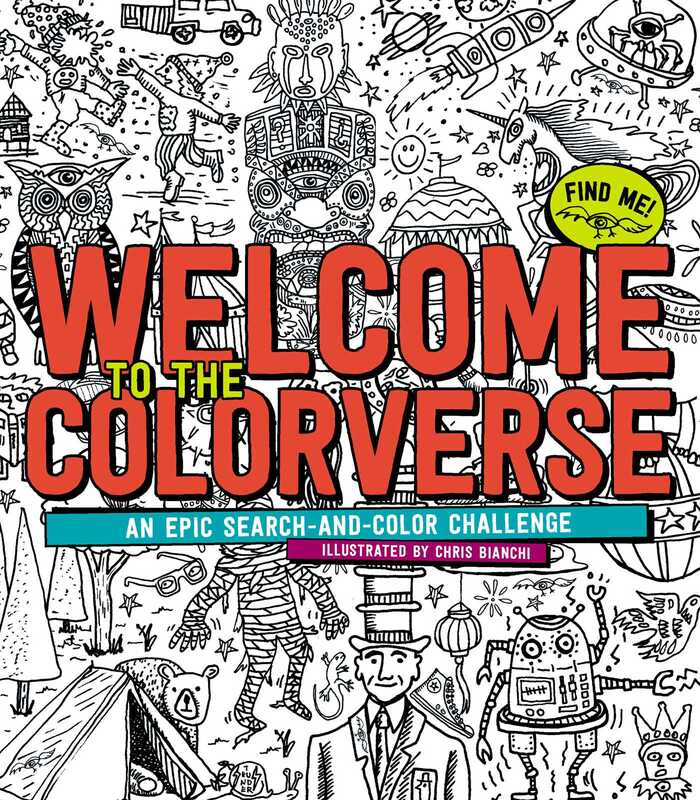 Welcome to the crazy world of the Colorverse, where everything is familiar—but nothing is as it seems!